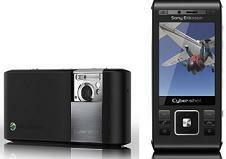 I’m a mahooosive fan of the Sony Ericsson 8 megapixel C905 Cyber-shot phone. Yes, it’s a tad on the chunky side, but that’s one design flaw I can get over thanks to its superb features and great picture taking abilities. Those most excellent features I just mentioned are getting a New Year over-haul with the addition of some new SE software designed to “add extra value to the user’s camera phone experience” and improve on something that already has the ‘wow’ factor. The changes to your camera functions will now include smile shutter, YouTube, WayFinder 8, HPs Snapfish and SMS/MMS conversation style, which essentially means users can switch between the generic inbox layout, or convert to conversation style chat instead. C905 possessors (including myself) can download the new applications as of mid-February at sonyericsson.com (somewhere between the 14th and 15th Feb? ).